Originally dedicated to St. John the Baptist, but rededicated during the 19th century, All Saints Parish Church is located on Browns Lane in Stanton. 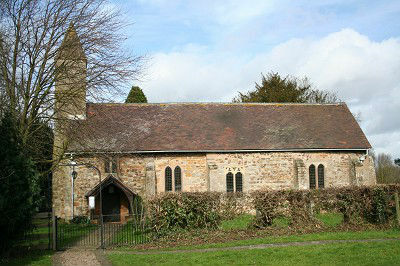 It is a small, friendly, welcoming church on the edge of Stanton golf course and surrounded by fields. A wide variety of people attend the services and everyone is welcome to join in. St Mary the Virgin, Bunny with Bradmore. Contact details, events and services can be seen on the Benefice of Keyworth Stanton and Bunny website. There is a detailed history of the church on the Southwell and Nottingham Church History Project website. Stanton-on-the-Wolds Golf Club has, from its foundation, always encouraged families to participate - a principle which it considered an essential ingredient in forming a happy and sociable society. This has been its hallmark over the years and remains the case today. For full detail, visit the Stanton-on-the-Wolds Golf Club website. The nearest health centre that has Stanton in its catchment area is Keyworth Medical Practice, which is housed in the Keyworth Primary Care Centre, Bunny Lane, Keyworth (tel: 0115 937 3537). It is a relatively large practice and offers a comprehensive range of medical services via its 7 doctors, 4 practice nurses and 4 health care assistants. There is free car parking in the adjacent Bunny Lane car park (60 spaces, 4 disabled) and there are two pharmacies within easy walking distance in addition to the Medical Practice's own Pharmacy. More information, including the route and timetable, is available on the Centrebus website. The Nottingham Minibus 853 service also runs on Monday to Saturday, from Hickling and Kinoulton through Stanton, Keyworth, Plumtree and Tollerton to the Morrisons supermarket in Gamston. This service runs three times a day in each direction. The bus runs along Stanton Lane and Browns Lane and will stop on request. Timetables are posted on the Parish Council noticeboards situated on Stanton Lane, Browns Lane corner and Melton Road. More information, including the route and timetable, is available on the Nottingham Minibus website. The nearest local library is on Church Drive in Keyworth (next door to The South Wolds Academy and Sixth Form). However, if you have a Nottinghamshire library card you can use it to borrow and return books at any Nottinghamshire library (and you don't have to return books to the library from which you borrowed them). Nottinghamshire County Council runs a mobile library service which visits the village once a month on a Thursday morning. The mobile library stops outside 140 Browns Lane (from 10.45 to 11.05). The current timetable is available at: Mobile Library (East South Mobile Route 12). 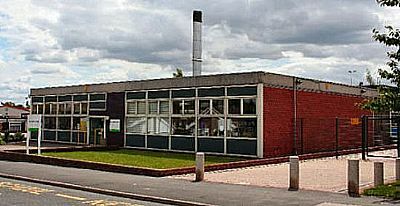 The Willow Brook Primary School, located on Willow Brook in Keyworth, lies within the parish of Stanton-on-the-Wolds. Older children usually attend The South Wolds Academy and Sixth Form in Keyworth. Refuse is collected from the village every Monday or Friday (depending on where in the village you live). The collection alternates with the Grey bin (general waste) collected one week and the Green (garden waste) & Blue (recycling) bins collected the next week. See the PDF files for dates: Monday Refuse collection for Dec 2018 to Nov 2019 Friday Refuse collection for Dec 2018 to Nov 2019. To check your collection day, go to the Rushcliffe website and enter your postcode. Garden waste is only collected if you are a member of Rushcliffe Borough Council's garden waste collection scheme. For more information, and to join the scheme, see garden waste collection scheme. The Plough at Normanton on Old Melton Road in Normanton-on-the-Wolds is a popular local pub with a restaurant and large beer garden. Situated between Plumtree and Keyworth, there is the award-winning Perkins Bar & Bistro (and the associated "Carriage Hall" wedding and event venue), located in the converted railway station. The nearest venue at which to obtain hot meals is Gilmoore's cafe at Moore's Garden Centre on Melton Road.